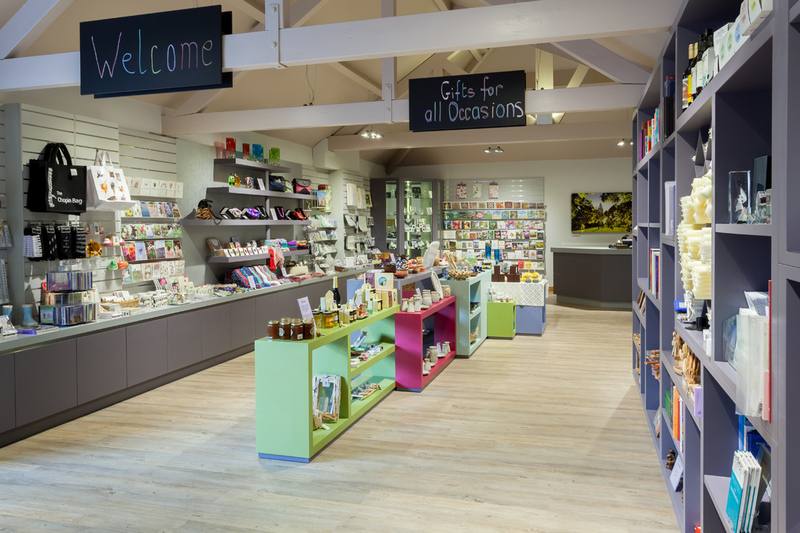 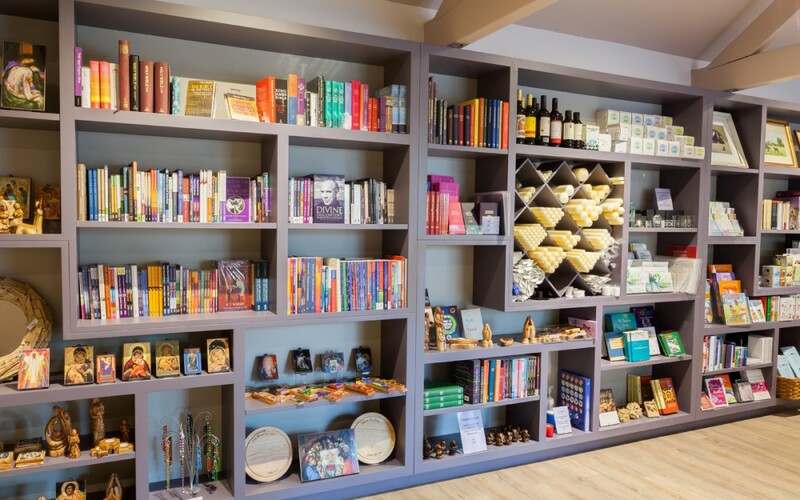 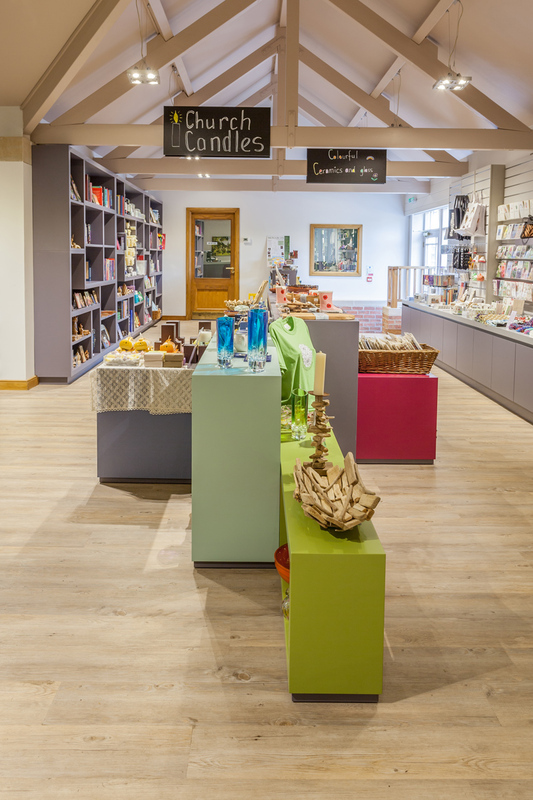 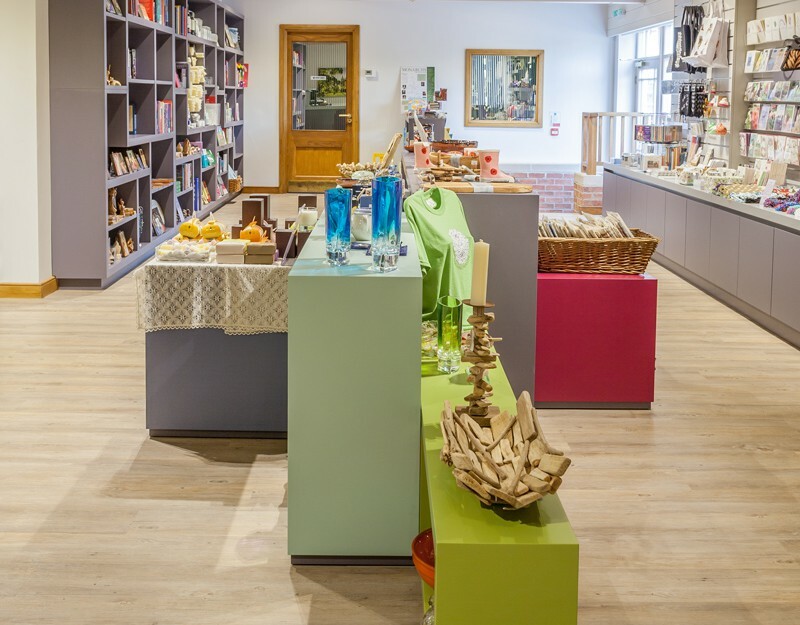 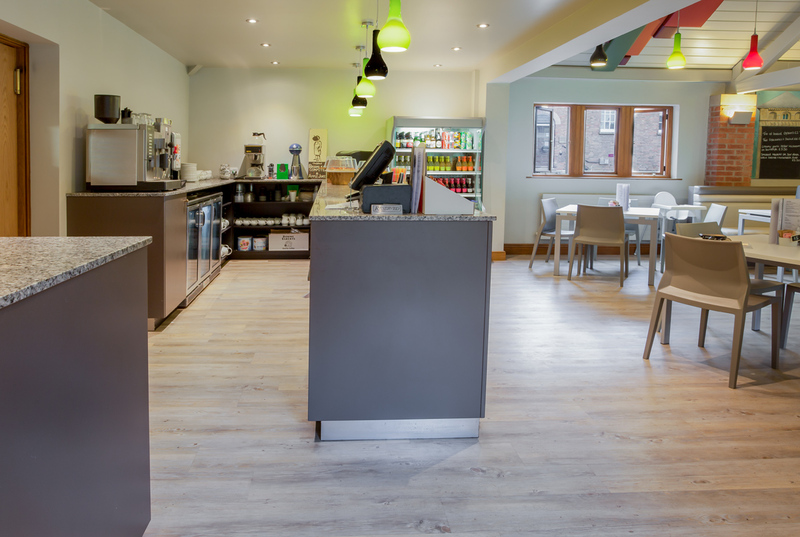 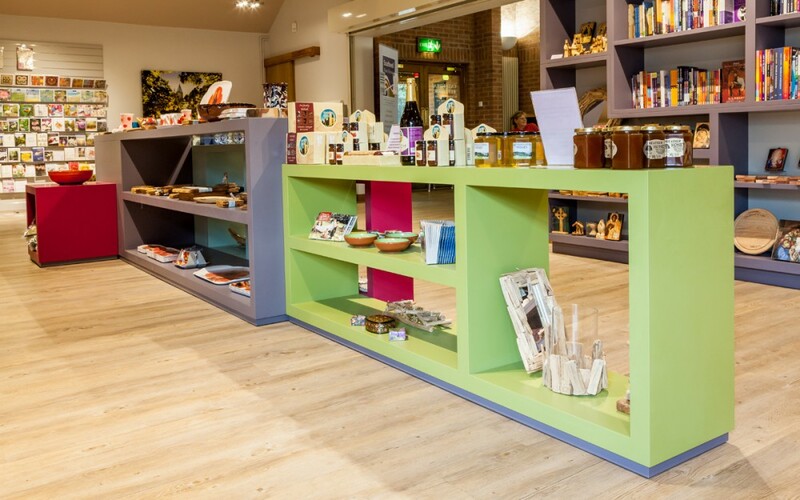 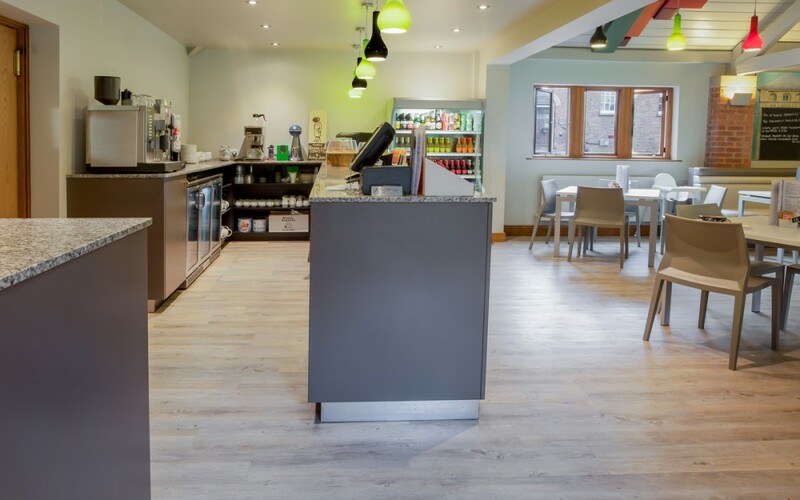 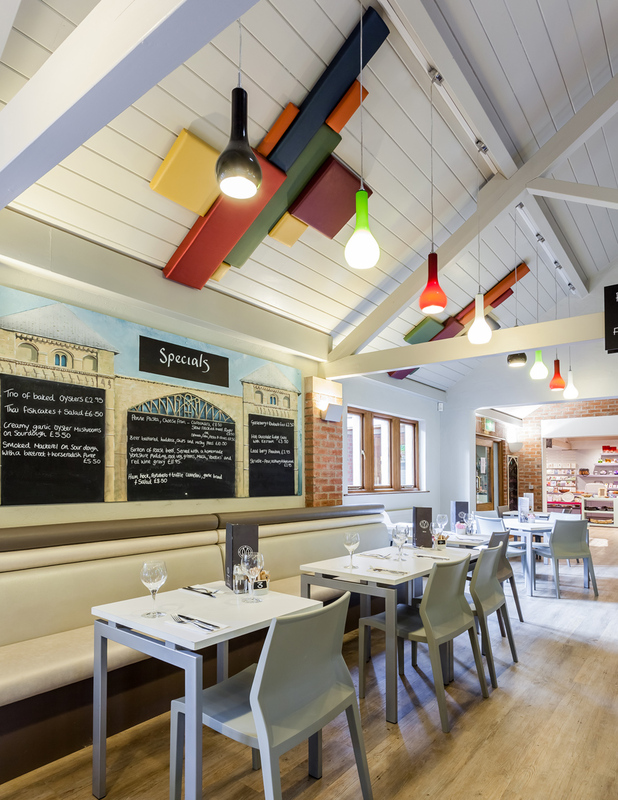 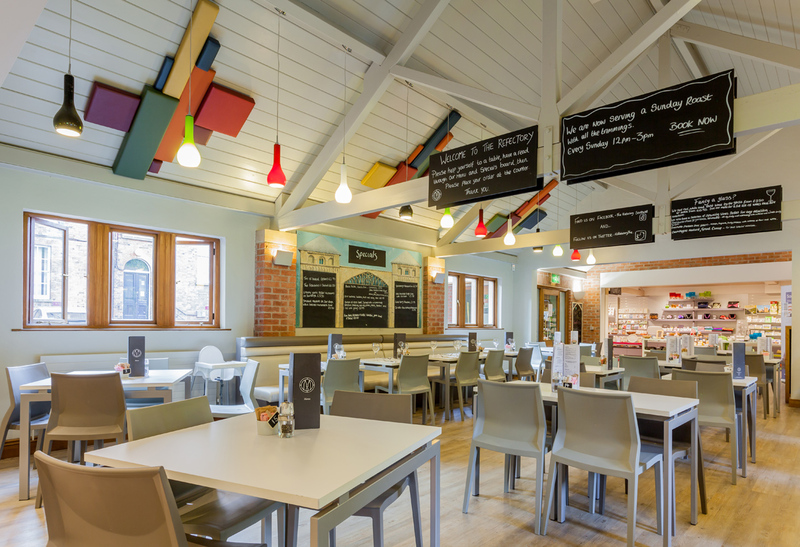 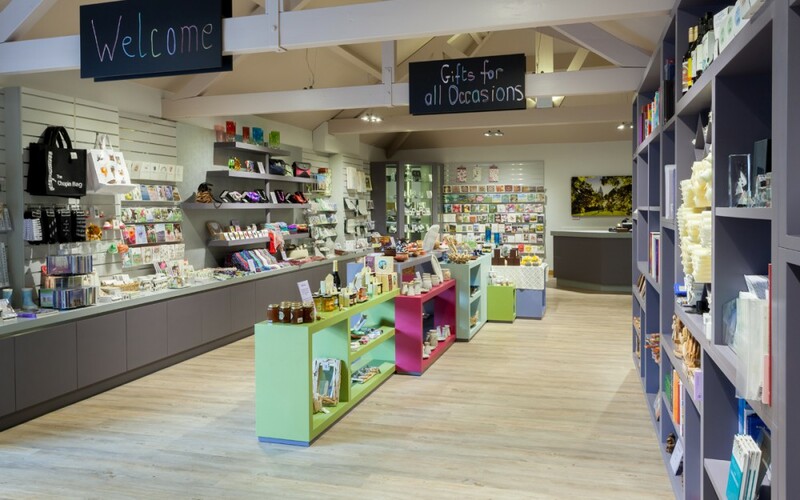 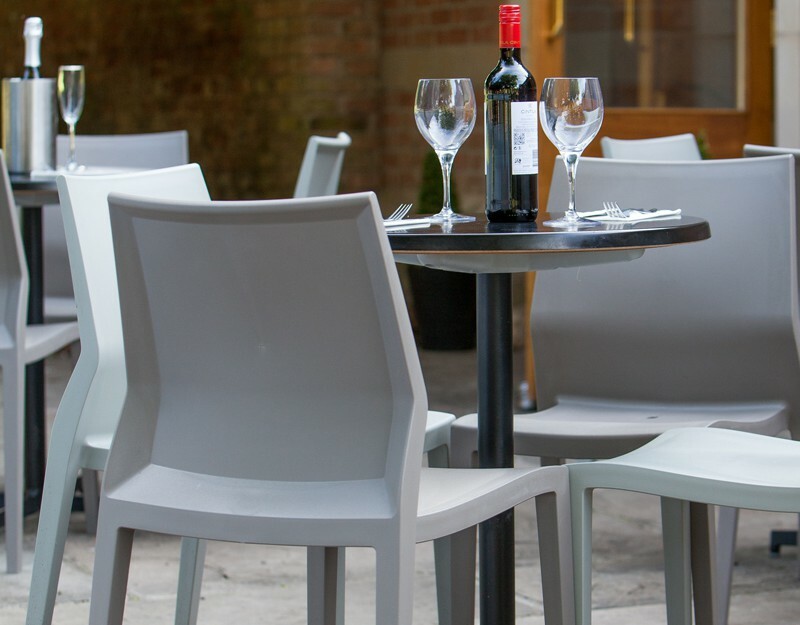 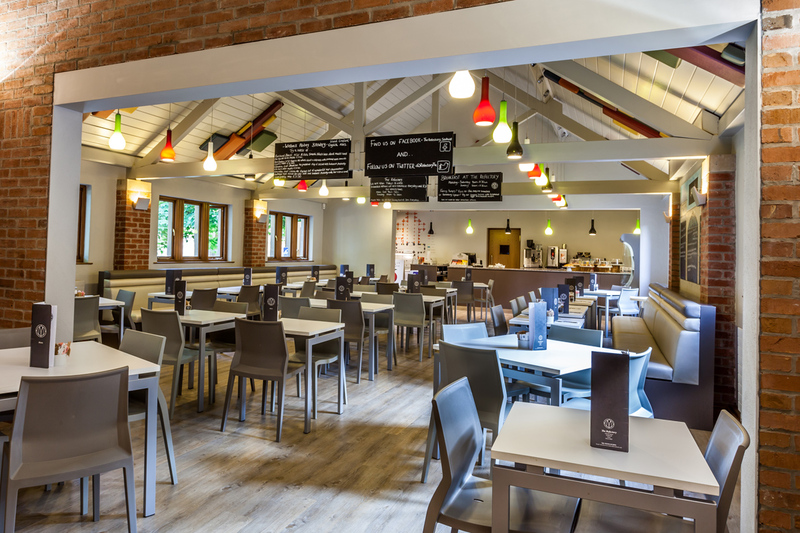 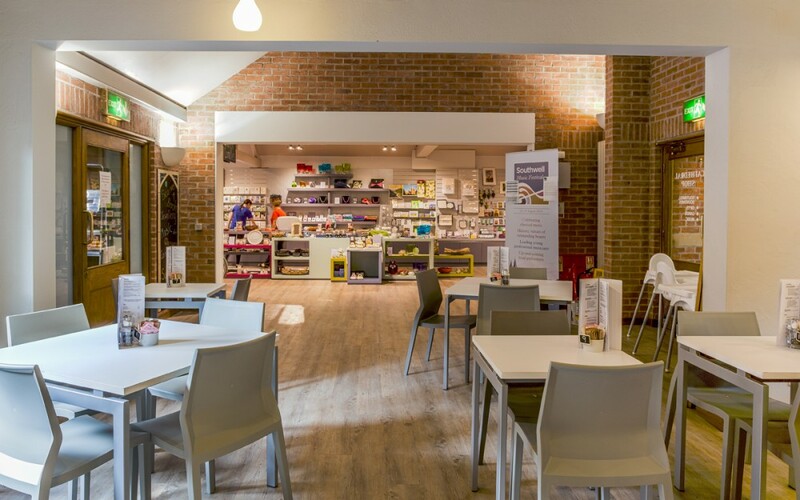 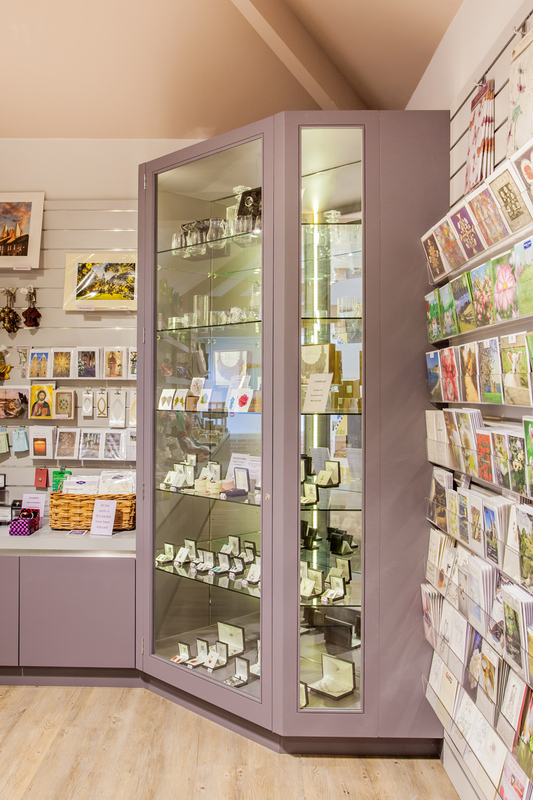 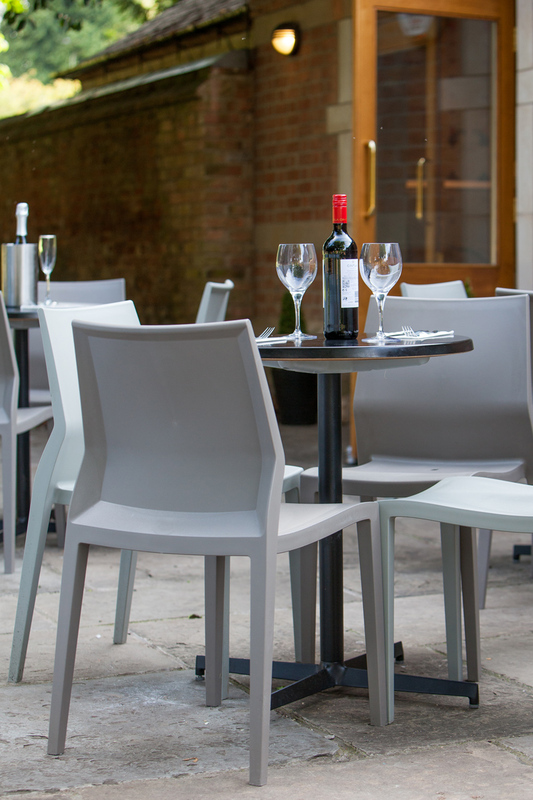 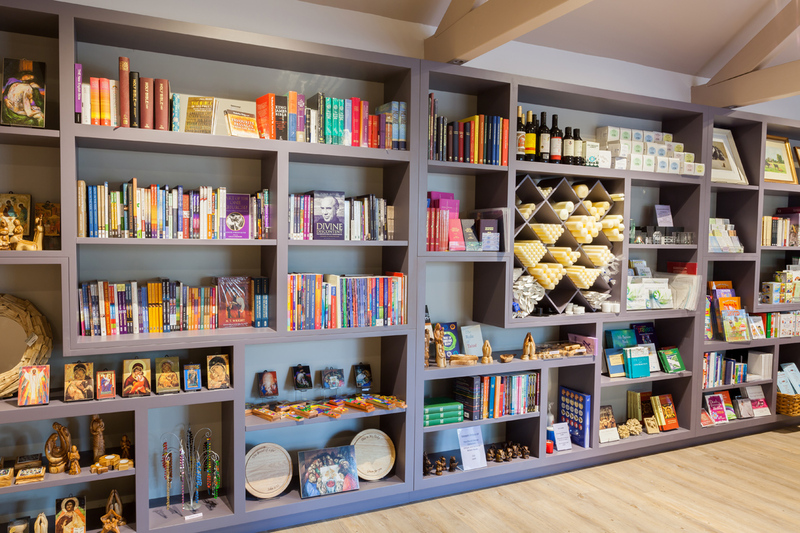 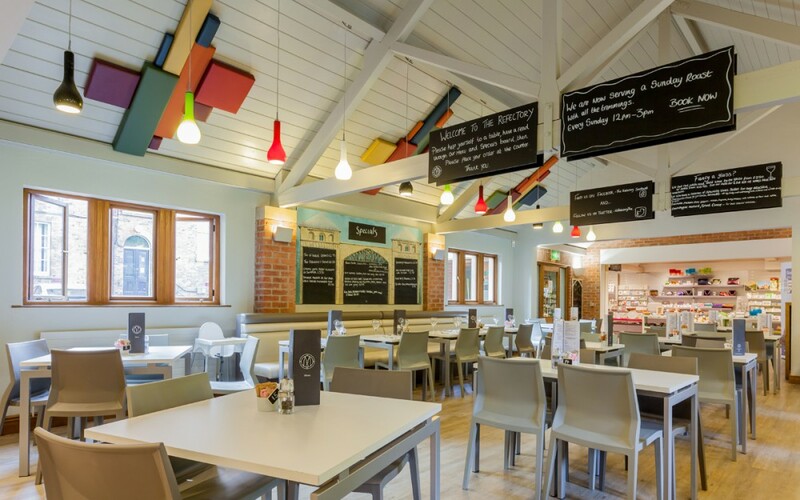 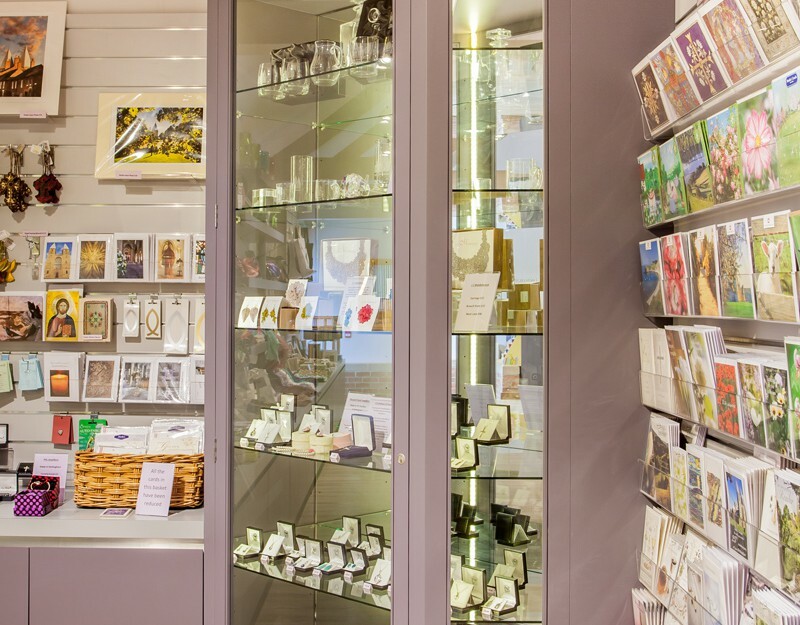 The management team at Southwell Minster approached us to design the interior spaces for the re-development of their Cathedral Bookshop and Refectory. 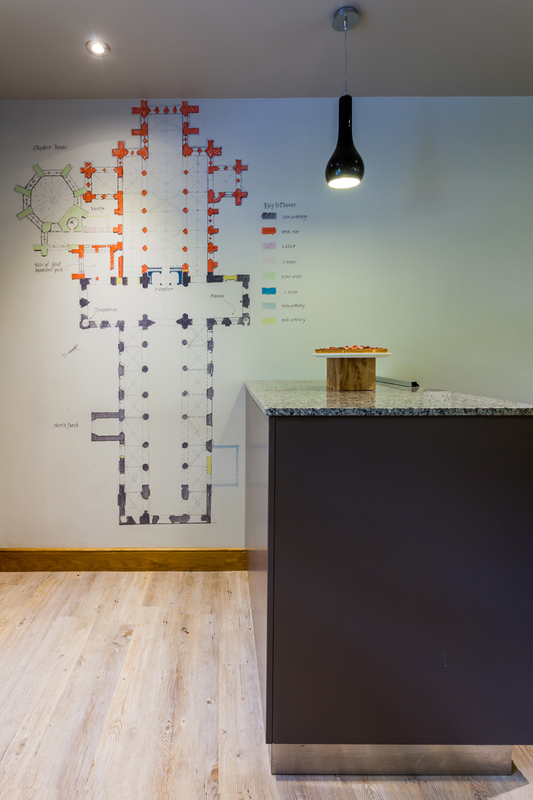 The original 1990s interiors featured orange stained wood, fussy layouts and problems with echoing acoustics. 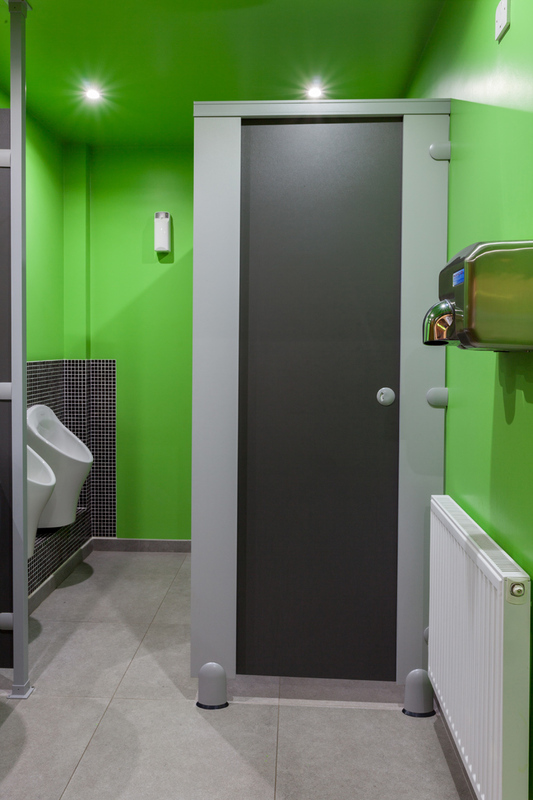 The two spaces had small separate entrances divided by an unwelcoming corridor. 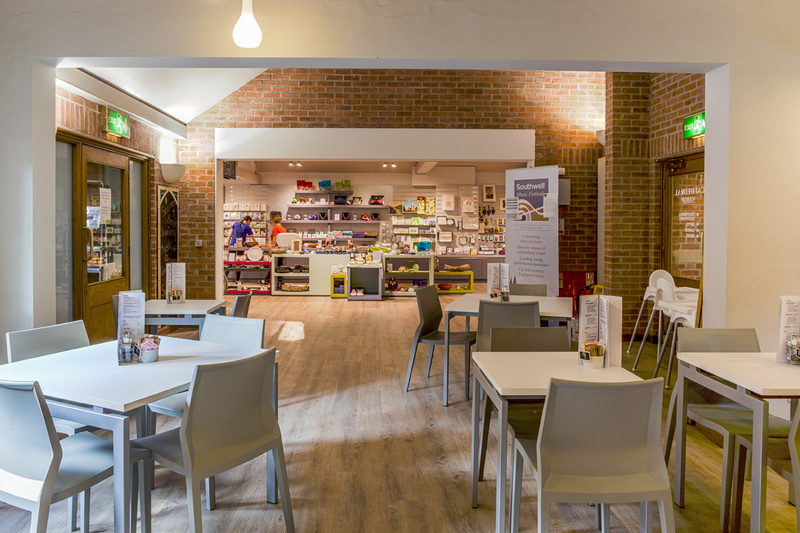 To cross-fertilise Shop & Refectory sales we created a design with no internal walls to erase the unwelcoming corridor and integrate the two interior spaces. 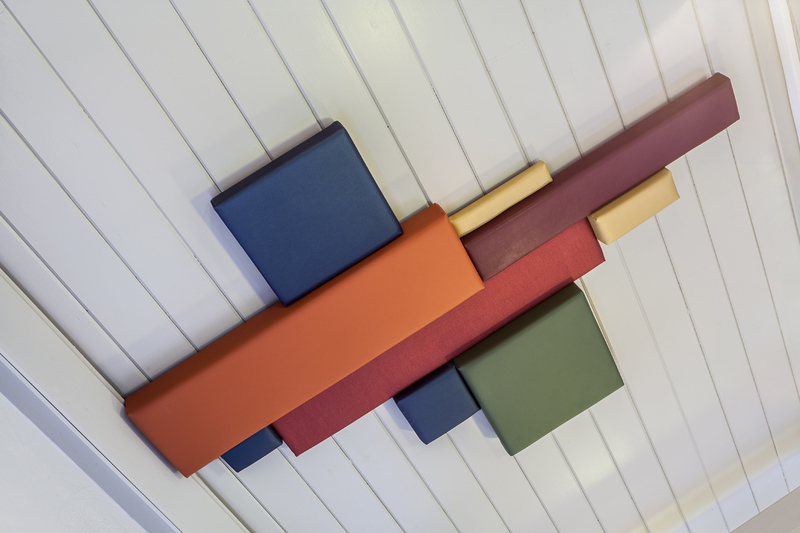 Ceiling sculptures and vinyl flooring were used to dampen acoustics to make the entire area a more pleasant one to spend time in. 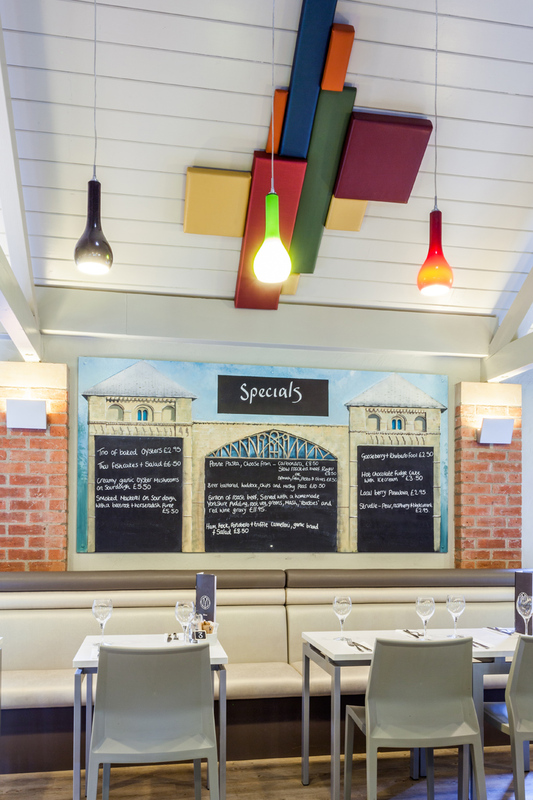 A subtle background palette of greys was used to calm the interior, juxtaposed by brightly coloured lights, shelving and sound sculptures to create visual excitement amongst an air of tranquillity. 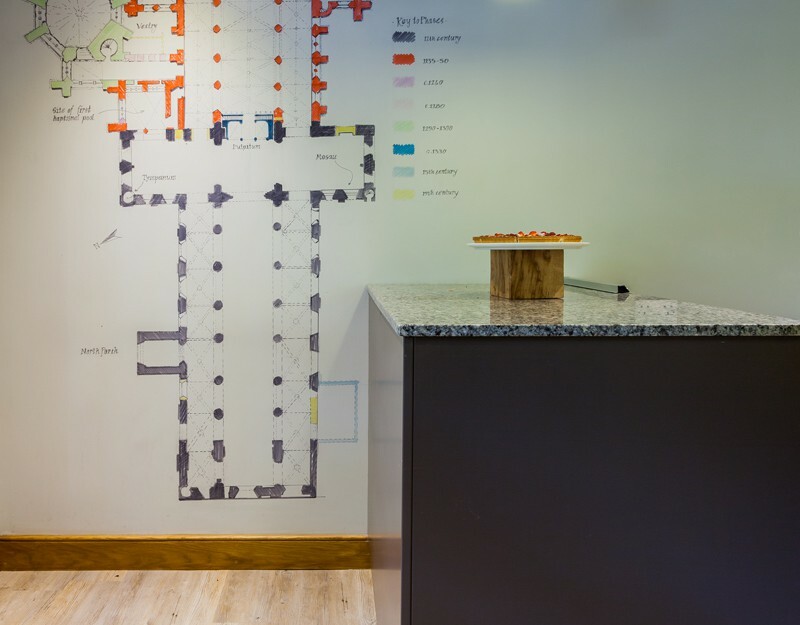 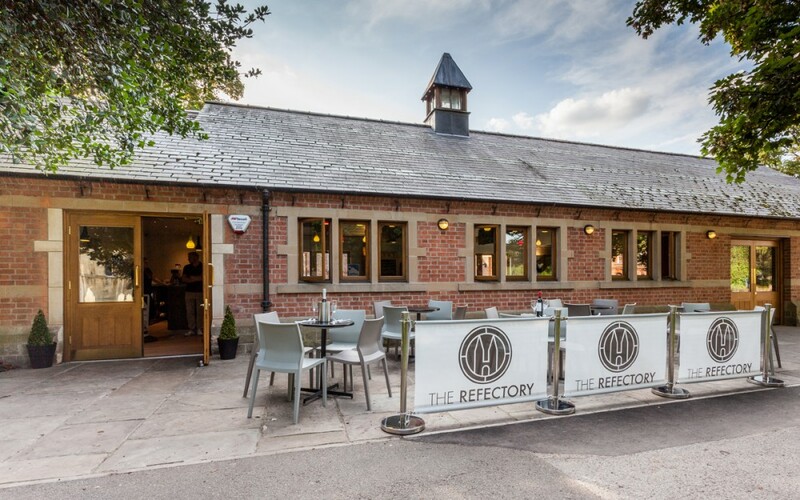 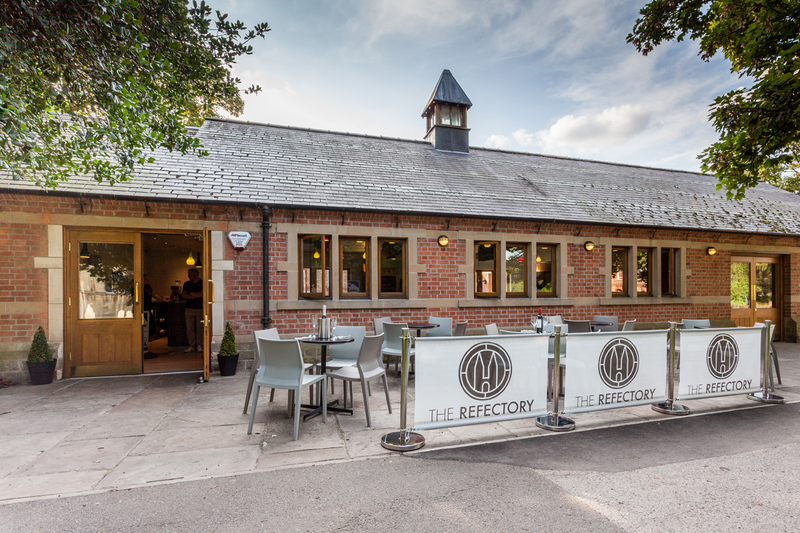 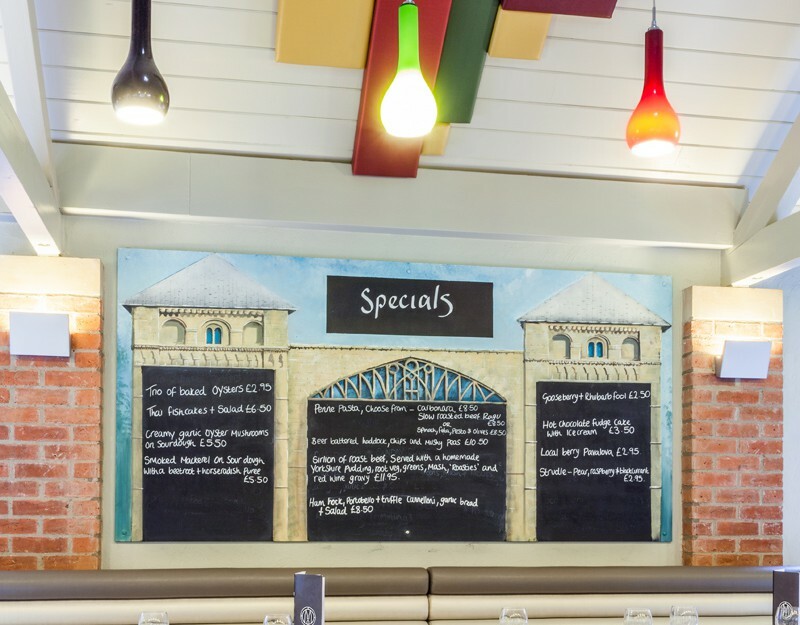 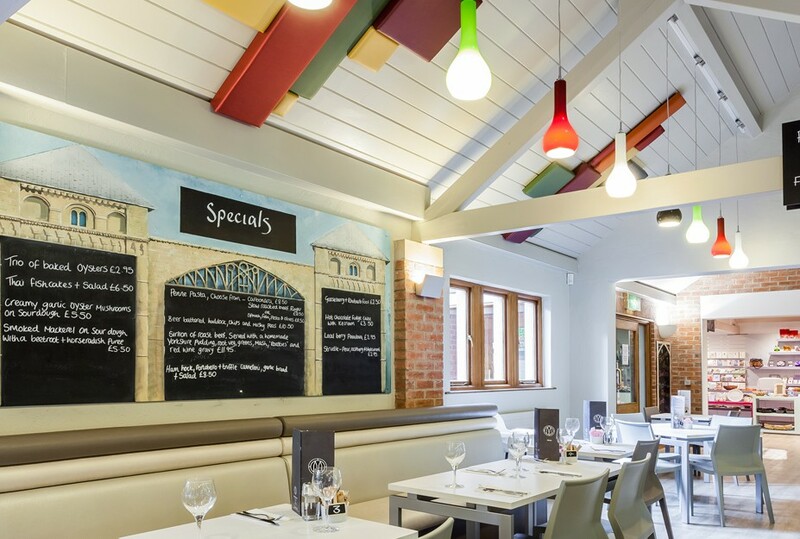 The Refectory designs played to its location USP by including trompe l’oeil features such as an old architectural plan and specials boards incorporating the Minster Towers. 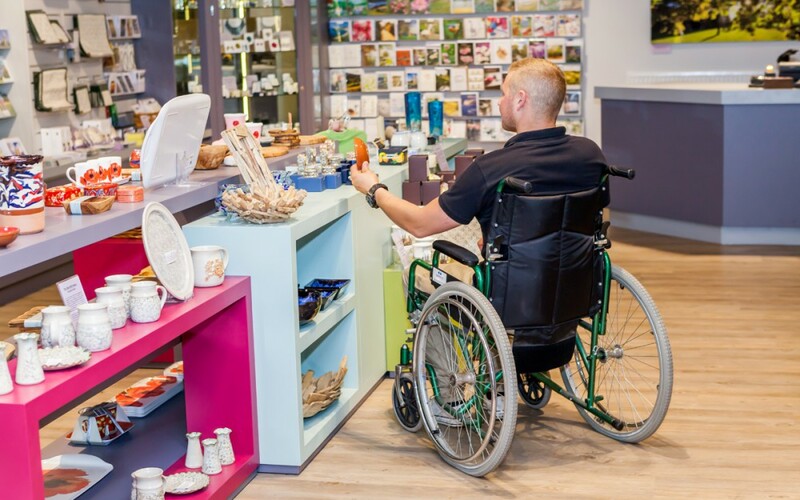 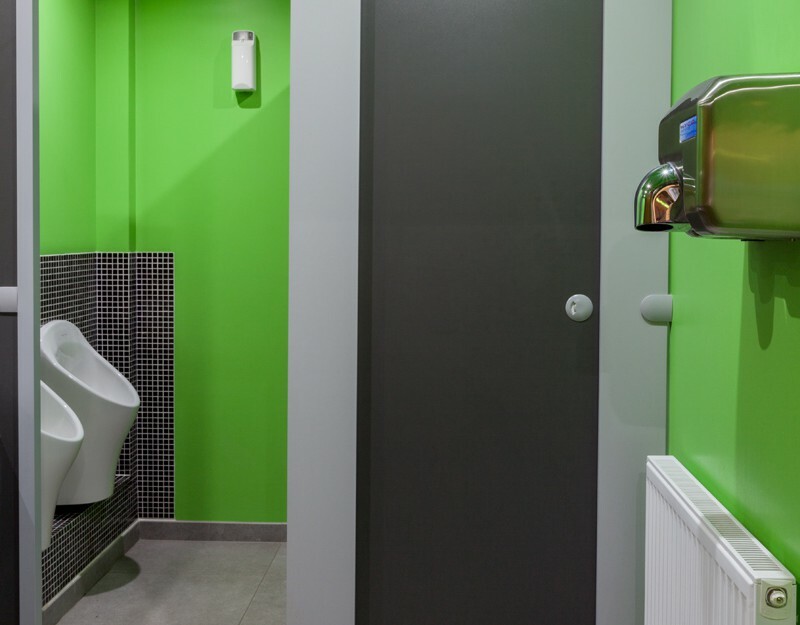 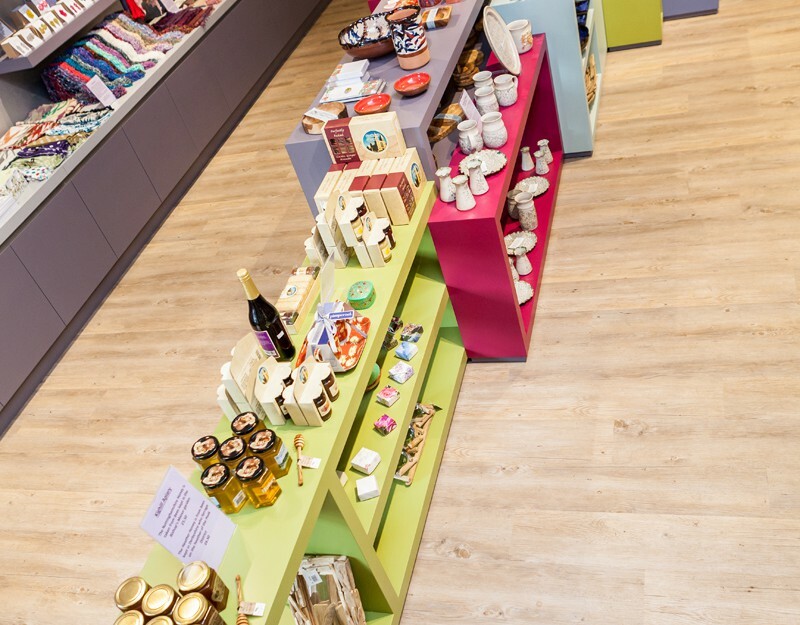 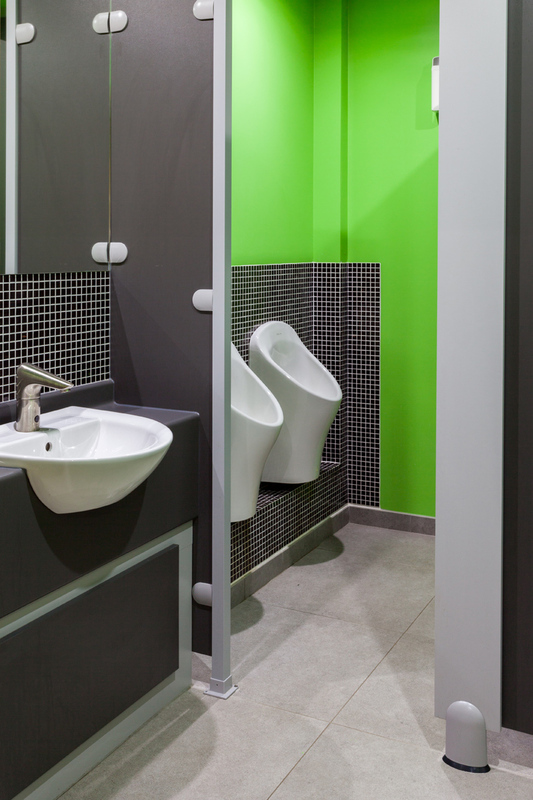 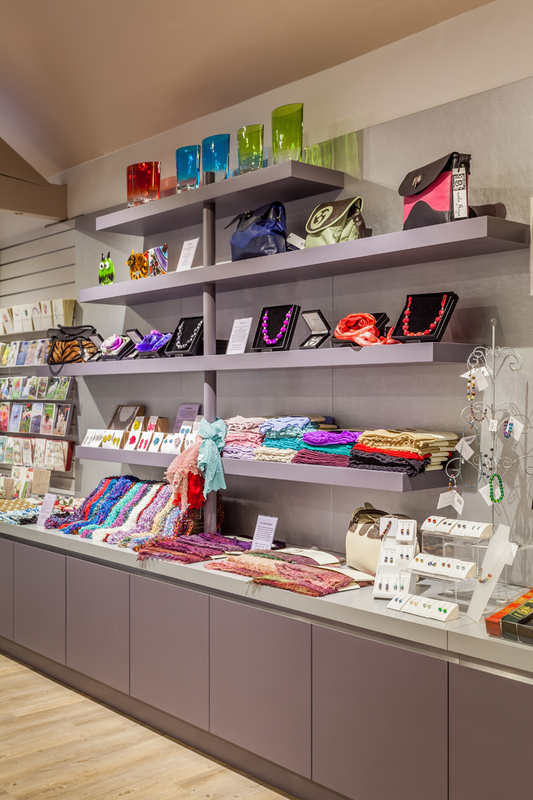 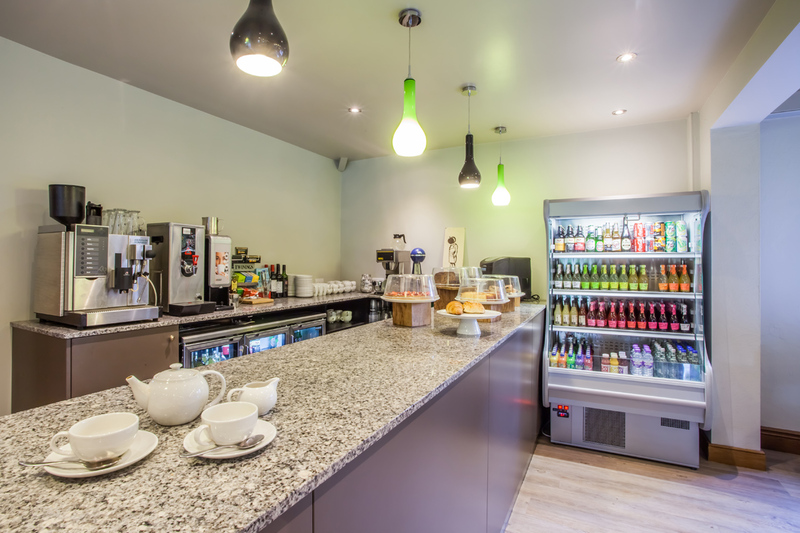 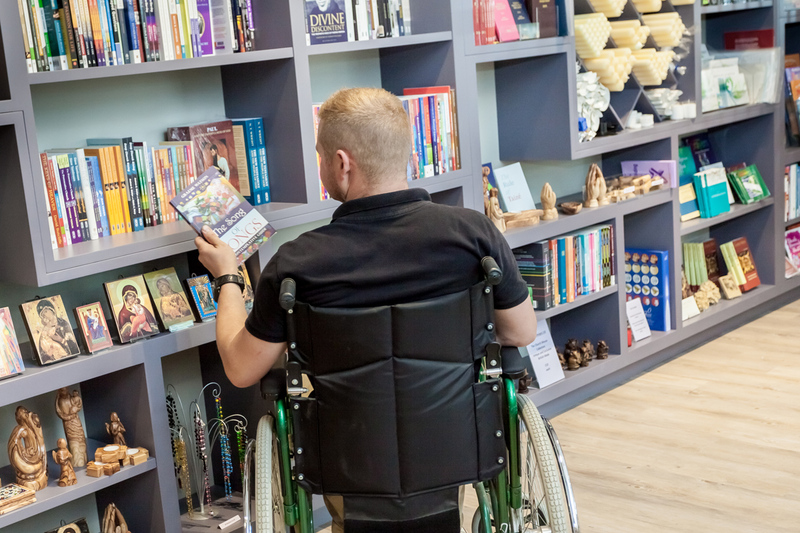 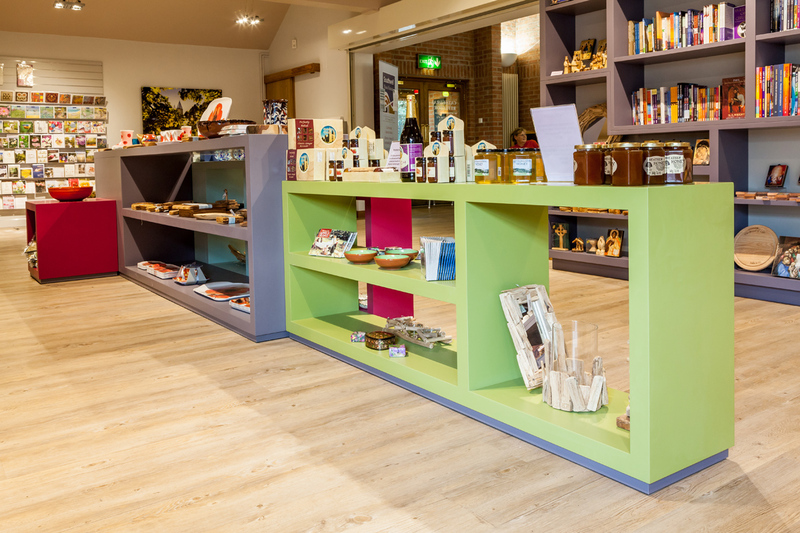 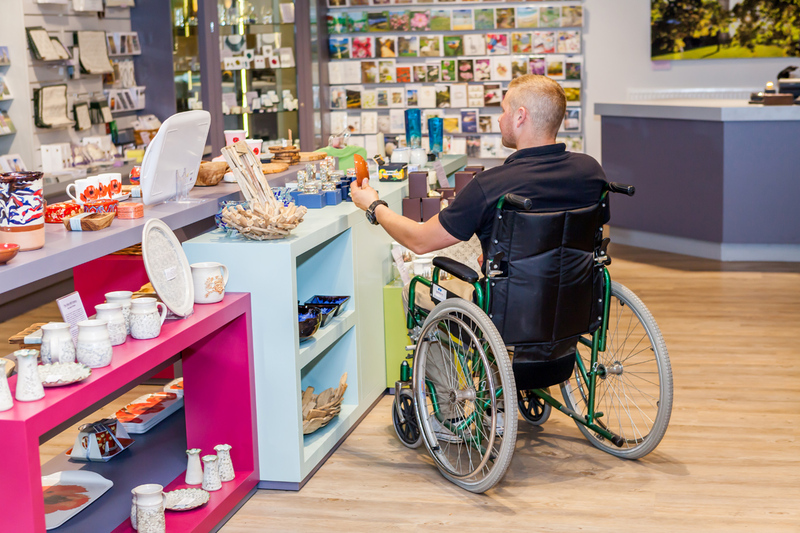 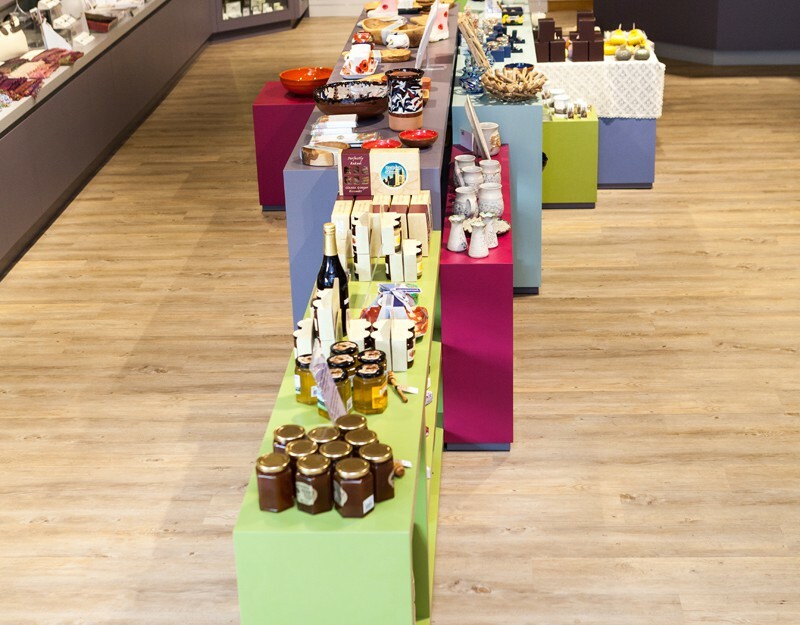 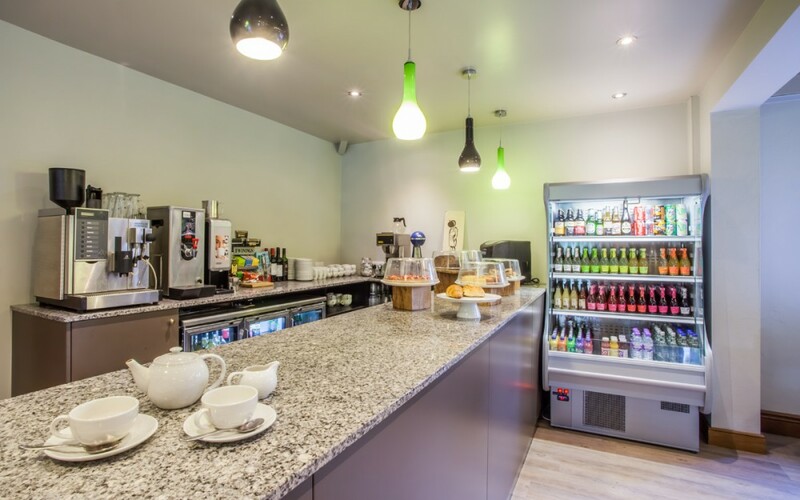 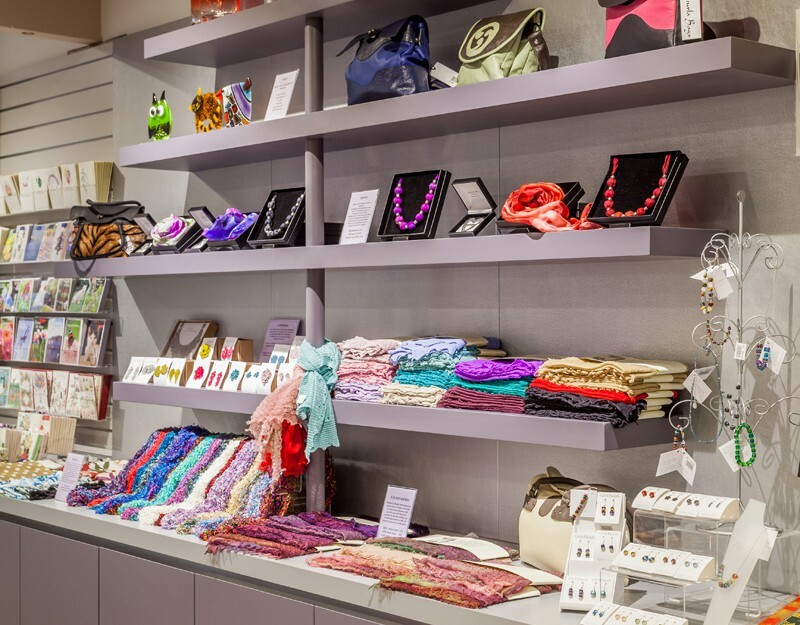 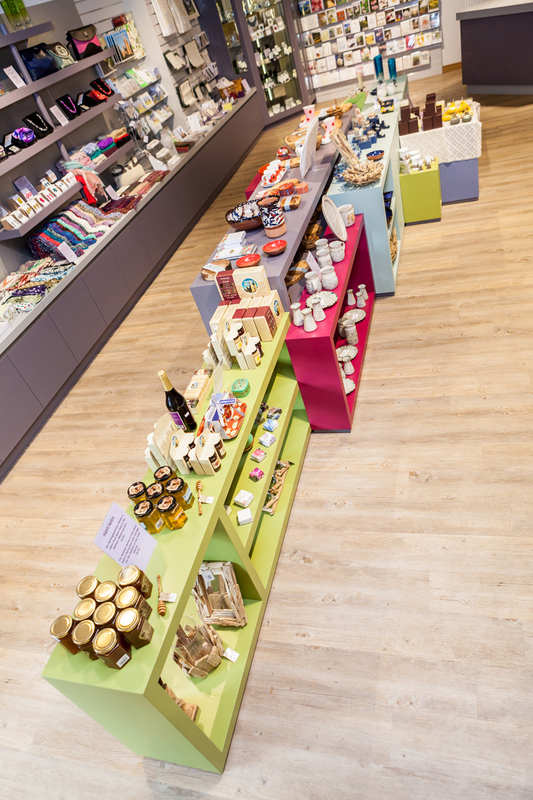 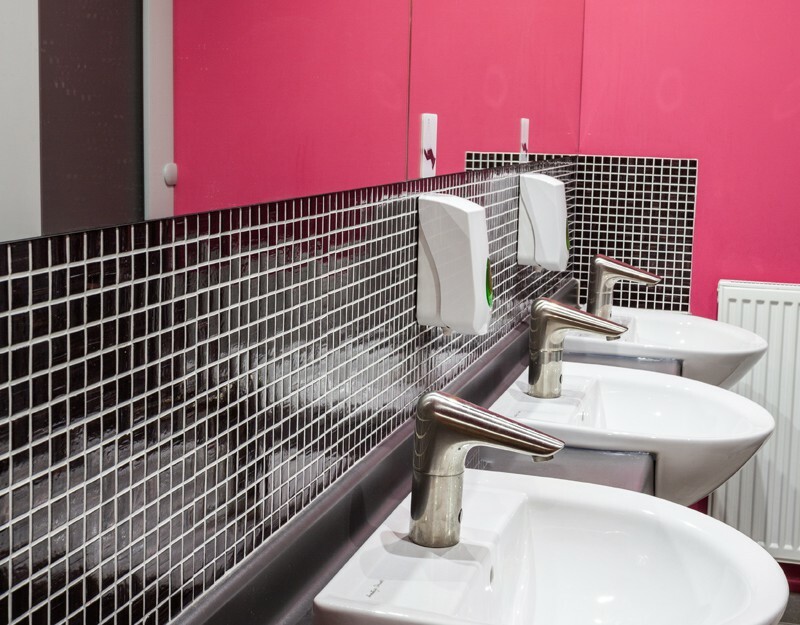 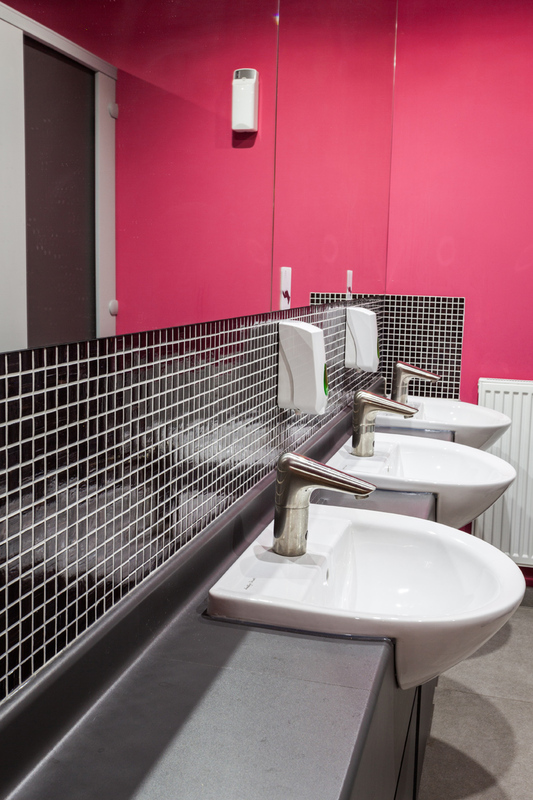 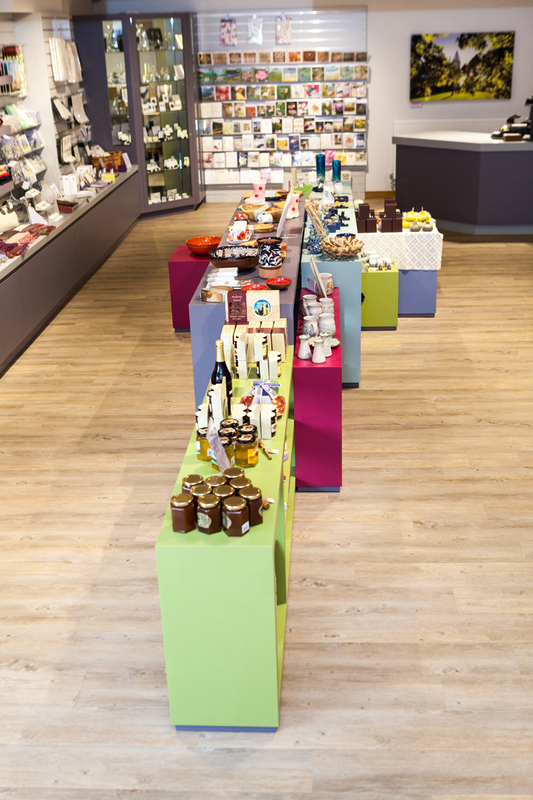 Bespoke retail fitments provide a myriad of on-site storage and easy disabled access. 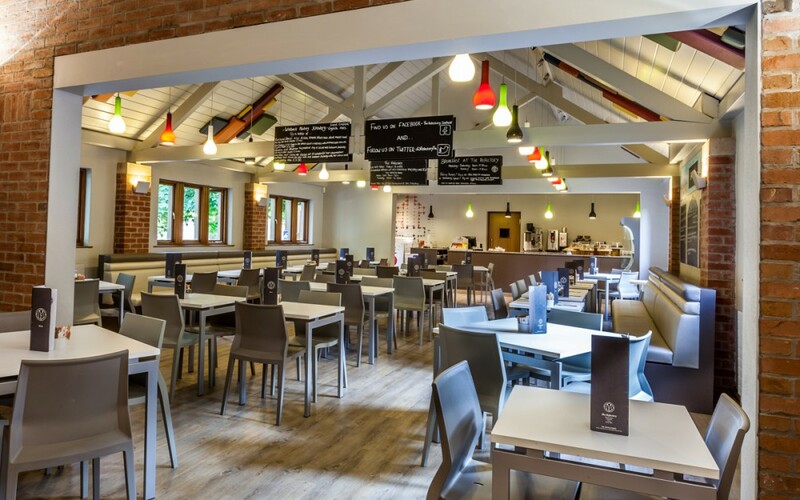 The venue has been warmly received by a forward thinking management team and is proving an excellent commercial environment.